Initial results from our web app indicate that well-known icons such as The Jolly Fisherman and The Lincoln Imp are what Lincolnshire’s public considers representative of its collective heritage. The web app, called MyLincolnshireCollection.org, asks users to choose up to ten favourite heritage objects from a range of 100 images taken from around Lincolnshire, then provides a digital map of where each object can be found. The statue of the Jolly Fisherman at Skegness and a brooch held by the Usher Gallery and made by James Ward Usher that represents the famous Lincoln Imp are currently joint top of the leader board for most frequently selected object. Although the app represents The Lincoln Imp in gold on Usher’s brooch, it is more commonly known as the medieval stone figure that sits grinning mischievously high on the wall inside Lincoln Cathedral. 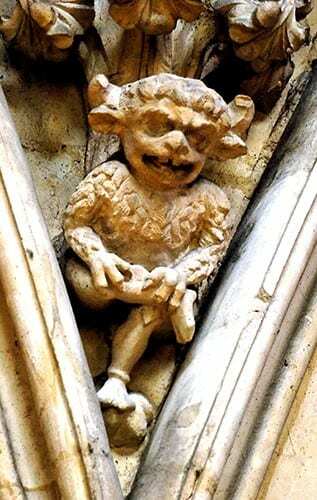 Many legends exist as to the origin of the wild-eyed and sharp-toothed imp, the most pervasive being that he was one of two that wreaked havoc on the cathedral, having been set loose by the Devil. It is said that the imp was turned to stone by an intervening angel, whilst his counterpart escaped. The story and figure of The Lincoln Imp are so ancient and renowned, that it is perhaps unsurprising that the brooch he adorns has been so popular with MyLincolnshireCollection.org users thus far. In addition to finding out what aspects of heritage appeal to Lincolnshire’s public, the designers of MyLincolnshireCollection.org also set out to showcase the range of fascinating public objects that reside outside of the county’s city centre, such as the Jolly Fisherman statue at Skegness. The statue was made to commemorate John Hassall’s famous 1908 poster advertising trips from London Kings Cross to Skegness with Great Northern Railways. The trips cost three shillings per person and were so popular that the campaign ran for five years. 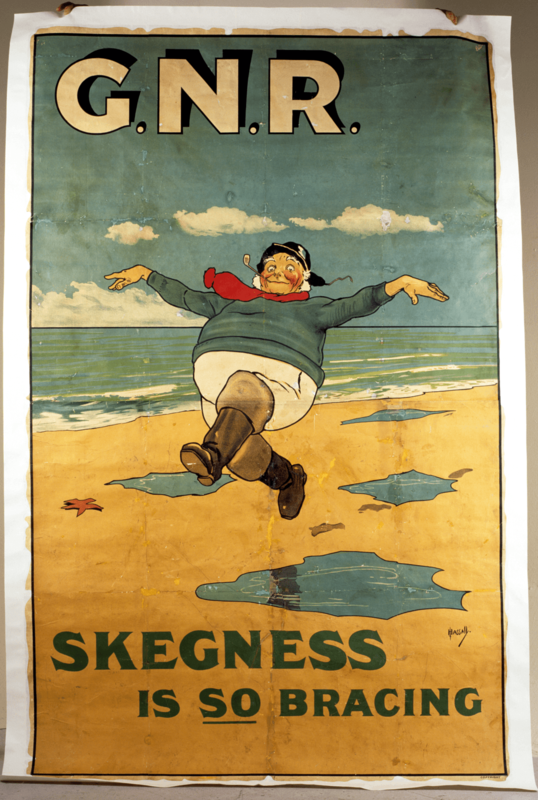 Images of ‘The Jolly Fisherman’ can be seen all around Skegness on bus stops, sign posts and souvenirs, and another statue of him can be seen at the town’s train station. Hot on the tails of the Jolly Fisherman and the Lincoln Imp for position of ‘most-picked’ heritage object on MyLincolnshireCollection.org is a mutilated 14th century tomb that resides in St Mary’s Church in Stamford, a World War II gas mask from The Dambusters Inn in Scampton, and a collection of 18th century agricultural tools from Pinchbeck Engine Museum. The Our Lincolnshire team hope that people will continue to use MyLincolnshireCollection.org to pick their favourite objects from around the county, and share their thoughts on Lincolnshire’s heritage. This will improve understanding of people’s perceptions of heritage and what about it is important to them, which can be used to help ensure that people are able to continue to enjoy their heritage, and protect it, in the future. What do you think of of the Top 2 Lincolnshire heritage objects so far? Let us know by submitting your own collection at MyLincolnshireCollection.org.